The Bay Club unquestionably offers condo-quality suites and amenities to meet your urban lifestyle. 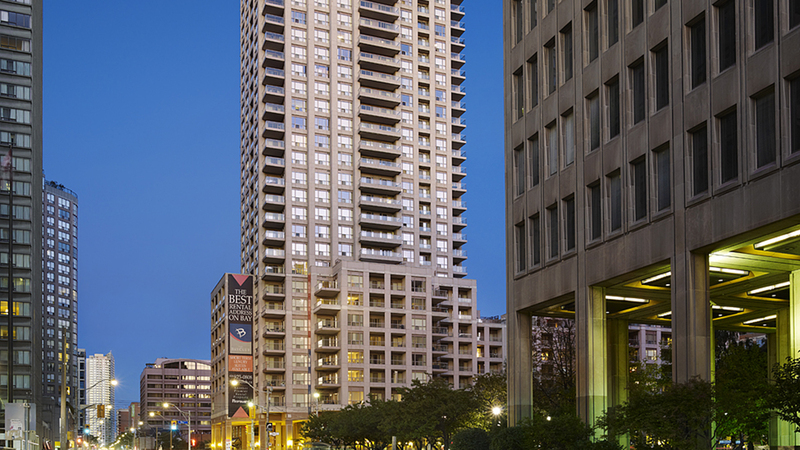 This elegant 32-storey building sits prominently at the corner of Bay and Wellesley, steps from Wellesley subway station, and is surrounded by the best that Toronto has to offer in the Bloor-Yorkville neighbourhood. Choose from studio, one and two bedroom suites with exceptional cityscape views and private balconies. From its open concept, light-filled suites to a 24/7 concierge, there is no question why The Bay Club is the best rental address on Bay Street.